The festive season is a great time to try new looks and be a little more glamourous. A subtle and fun way to update your daily makeup look is by wearing colour contact lenses. I love experimenting with different makeup looks and colour lenses can add a special finishing touch to your overall look. 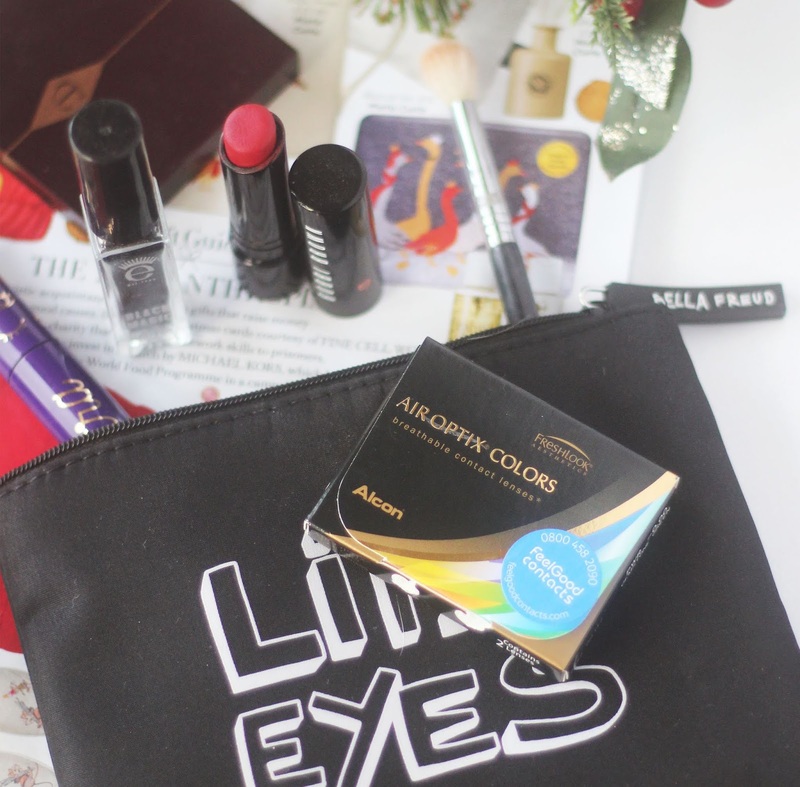 A pair of coloured contact lenses in your party season make up bag won't go amiss! 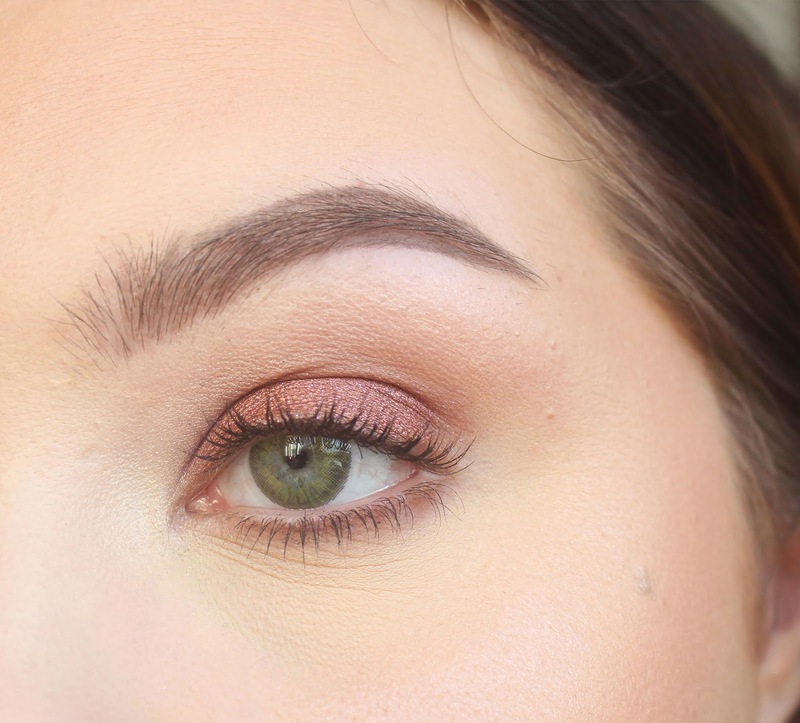 I jazzed up a very simple, cranberry coloured eye look just by changing my eye colour. Colour contact lenses are a safe and reversable way of temporarily changing the shade of your eyes. It is important when buying contact lenses that you purchase them from a reputable retailer and that you are buying a reputable brand. My go-to place for buying colour contact lenses is FeelGoodContacts.com. They offer a wide range of colour contact lenses, as well as next day delivery, so you never have to wait for your lenses to arrive! I’ve tried many different brands of colour contact lenses, but always go back to Air Optix Colors as they are the most comfortable. The Air Optix brand is known for specifically using a silicone hydrogel material. Whether it’s for colour, or normal prescription lenses, if you want more comfort when wearing contact lenses, you should look out for silicone hydrogel contact lenses. This special material can allow for up to 6 times more oxygen into your eyes than standard ‘hydrogel’ lenses. It means that your eyes will feel more moisturised and stay hydrated during the day, this is especially important if you suffer from dry eyes, or your eyes get easily irritated. It also means that silicone hydrogel lenses are slightly more expensive than standard hydrogel lenses, but worth the price if you want more comfort and a longer wearing time. Air Optix Colors come in 12 vibrant shades including; Blue, Brilliant Blue, Sterling Grey, Gemstone Green, Hazel, Honey, Brown, Amethyst, True Sapphire and Turquoise. I’ve tried brown before, but decided to opt for a more vibrant colour this time, so picked Gemstone Green*. It’s important that a lens is opaque enough to cover my entire eye, but still looks natural. Air Optix Color lenses have a 3-in-one colour blend technology which mixes a primary base colour with a natural colour gradient that blends seamlessly with the colour of your iris. They’re animated enough to be noticeable, but not so much that they look fake. There are definitely some hygiene points to think about when it comes to wearing contact lenses and make up. I've teamed up with FeelGoodContacts to bring you some top tips! Always wash your hands thoroughly before handling your contact lenses. Wash them with mild soap and clean water and dry them with a clean towel. There are many companies that specialise in products for sensitive skin and eyes. These products usually don’t contain fragrances, heavy preservatives and oils. You can also search for products that have been Ophthalmologically tested, meaning they have been specifically tested for use around the eye area. Be especially careful when applying your eye make up if you’re planning on wearing colour contact lenses. General wisdom says to put in your contacts before you do your makeup, but if you’re going to be applying loose powers that may fall into your eye, it may be better to insert your contact lenses afterwards. Also avoid applying eyeliner too close to your water line. Air Optix Colour contact lenses can be worn for up to 30 days, but must be stored overnight and cleaned and disinfected each morning. I use Comfi All-in-One Solution* because it cleans, stores and disinfects your lenses all at once. I also store my lenses in a handy Feel Good contact lens case. What do you think of colour contact lenses? Have you ever tried them? 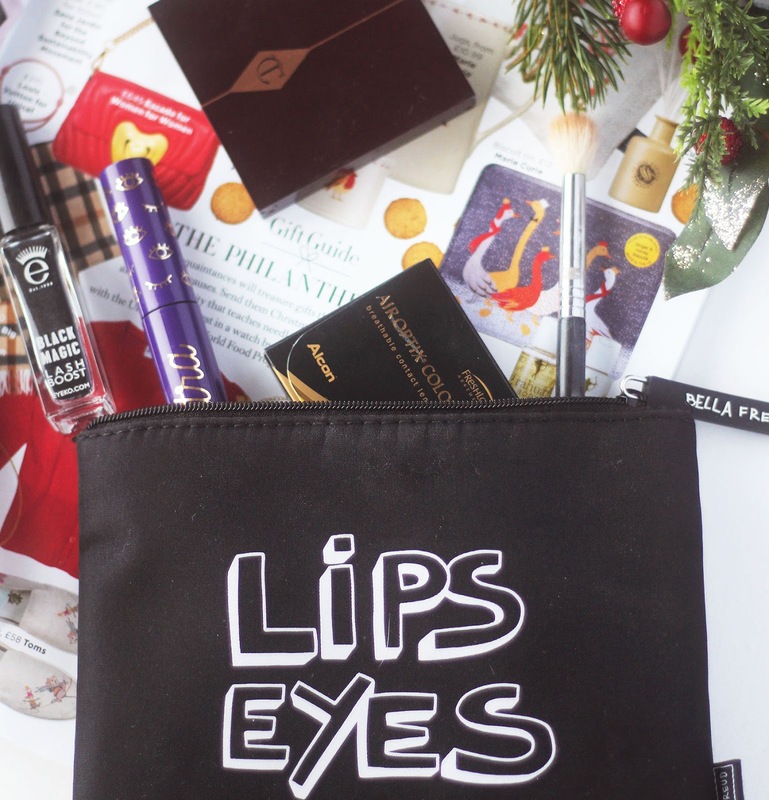 How do you plan on glamming up your look this Christmas? If you want to try our Air Optix Color lenses for yourself, you can purchase a pair at FeelGoodContacts.com. Use my special discount code MODISH10 for 10% off your first order. Wooow they're very natural and pretty!! !